The Anti-Police Terror Project (APTP) is a Black-led, multi-racial, intergenerational coalition based in Oakland that seeks to build a replicable and sustainable model to eradicate police terror in communities of color. After incidents of state terror (including police murders and use of excessive force) APTP connects the impacted families and community members with resources and legal referrals. 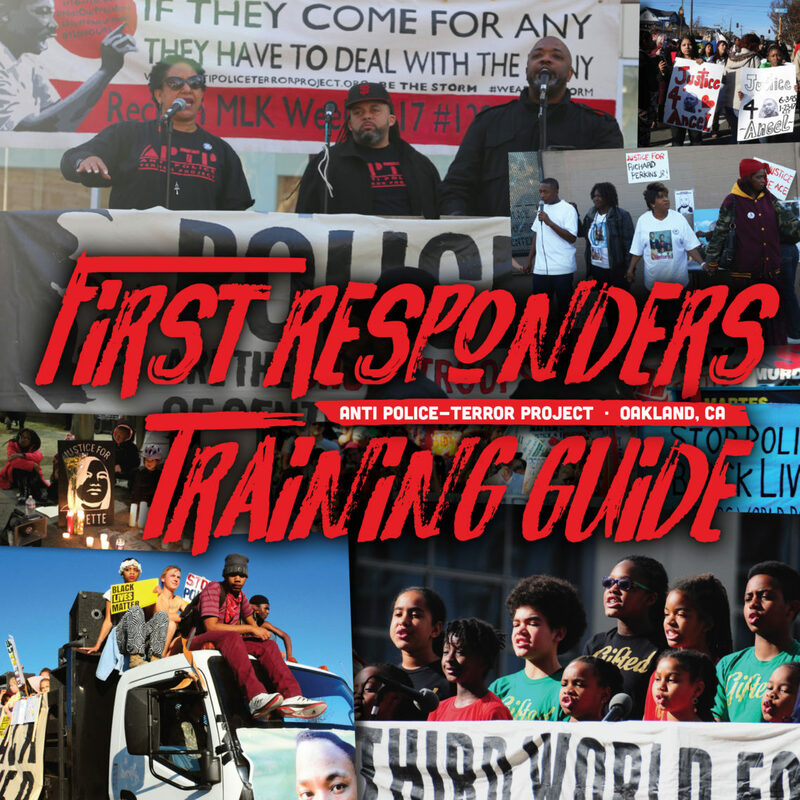 APTP also organizes the #ReclaimMLK march and events annually on the week of MLK Day, in honor of the true radical legacy of Martin Luther King Jr.
APTP’s First Responders Committee developed this training guide to describe their model for supporting families impacted by various forms of police terror and documenting abuses by police throughout the Bay Area. The comprehensive guide includes historical background and case studies, as well as practical on-the-ground tools like first aid, legal rights, step-by-step instructions for before, during, and after arriving on a scene of police brutality, tips for trauma-informed interviewing, sample forms and flyers, and more.